Newcomer Austin Dean led the Miami Marlins’ breakout at the plate Saturday, and he’s optimistic about a turnaround in the won-loss column, too. The performance came in the outfielder’s second game since being recalled from Triple-A to make his season debut with the Marlins. Dean hit his first major league homer and also drove in two runs with a double to complete a 4-for-4 night. 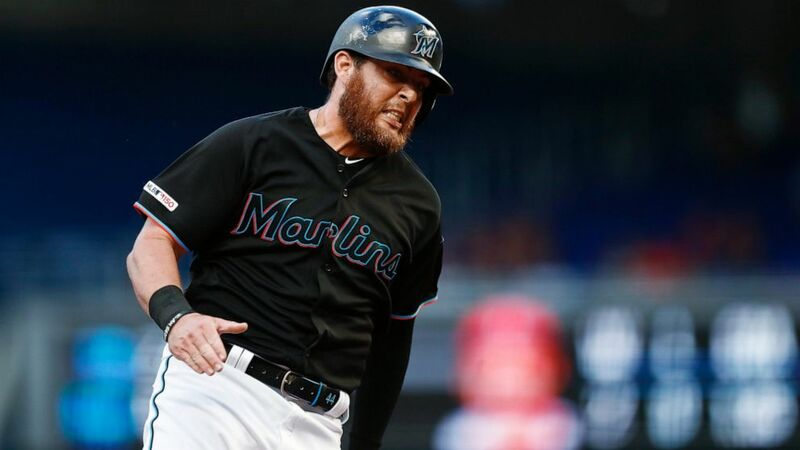 He played in 34 games as a rookie with the Marlins last season and was their minor league player of the league, but didn’t make their roster out of spring training. Anderson hit his first home run of the year on Eflin’s first pitch in the third inning. Three pitches later, Walker hit his third homer. And with two outs, Dean homered to make the score 6-0. “I was just thinking, ‘I wish he’d swing and miss,'” Smith said.